The script is complete. Locations scouted and secured. Hollywood’s next “It girl" has signed on for the lead. You’ve poured every fiber of your creative being into getting your film production off the ground and you’re desperate to get on with it already. But even as a self described “creative type”, you’ve got the business acumen to know that you need to protect your work. But how do you do it? The answer is simple: you form an LLC. Imagine walking into a meeting with a distributor.The distributor has a legal team that earns more in a month than you’ve earned in the last two years. You explain to them that you’re just a team of mom and pop filmmakers. You can almost see them licking their chops at your naiveté. You look unprofessional. And unfortunately, you’re more than likely to be treated as such. As an LLC, however, you’ve established that you’re not willing to be taken advantage of. Plain and simple, forming an LLC can protect your personal assets in the event of a lawsuit. Consider that you have a film company and an actor gets hurt on the set. If you haven’t set up each film as its own LLC, that actor can go after your entire company. This doesn’t just put the assets of the current project at risk, but the assets of the company of a whole, and you and your partners’ personal assets at risk. Profitability Sure, you made a film because it was something you felt compelled to do. There was a story that needed to be told. But how nice would it be if you could tell your story and make some cash? Through forming an LLC you give yourself the opportunity to sell shares in your venture, which you clearly can’t do as a sole proprietor. Frankly, you just can’t sell shares of yourself. It’s impossible. But what you can do with an LLC is arrange, for example, to sell 20% of the shares for $X,000 in capital from investors. From the management of your LLC to the ownership of your LLC, operating as this type of entity allows for changes to be made as necessary. More importantly, this flexibility allows you to structure your LLC to cater to your investors from the get-go. For example, some investors are going to be focused on their ROI - money drives them. Others, however, are going to want more creative control. These terms can be structured to suit the unique needs of your investors when you draft your operating agreement. Forming an LLC for your film will provide numerous tax benefits, but the best benefit of all is that your tax status can be changed. Unlike a corporation, where tax status is utterly static and cannot be changed, with an LLC you have plenty of options. You can choose to operate under corporate taxation or you can choose to operate under S-Corp taxation, etc. Or to put it in basic terms, you can opt for fewer taxes taken out, more cash in hand or conversely, more taxes taken out, less cash in hand, assuming there is more than one member in your LLC. Single Member LLCs operate a little differently. The Skinny on Single-Member LLCs. As an LLC you have control over who gets how much when the checks roll in. As an LLC, should you sell shares, you’ll be in a position to dictate who your investors may sell their shares to. At the risk of being utterly cheeky, that’s a wrap. As a filmmaker, whether seasoned or novice, you are absolutely setting yourself up for trouble if you don’t have the foresight to prevent it. 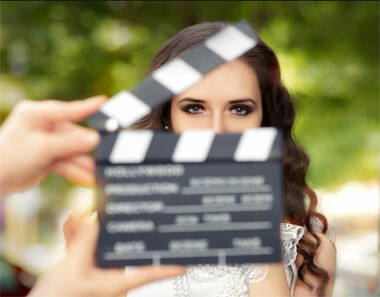 Forming an LLC for each and every film you create is not only practical in matters of protection, but also savvy in protecting your future earnings and livelihood in the industry. MyLLC.com strongly suggests you consult your legal team and tax adviser prior to making any decisions. Once you have and an LLC is right for you, contact one of our highly trained experts today to get started!